Edith Vadivelu is a qualified and trained Early Years teacher. 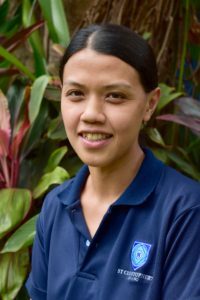 She has previously taught at the Good Shepherd International School (Kuala Lumpur) in the Foundation and Nursery age groups, then as Head teacher and pre-school teacher at the Methodist Kindergarten (Seremban). Later she relocated to Penang and began teaching at the Trinity Methodist Kindergarten in the Foundation and Nursery. Edith is presently teaching Nursery at SCIPS, and has done so for a good number of years! Millie comes from the UK and has a Bachelor of Arts degree in Early Years Education with Qualified Teaching Status from Edge Hill University. She has been teaching for the past three years at a school in the North West of England. Millie loves to travel and it has always been a dream and ambition of hers to teach abroad. She enjoys the prospect of adventures and learning new skills and is so excited to be joining the SCIPS family, She is very much looking forward to embarking on her biggest adventure yet in moving to Penang! 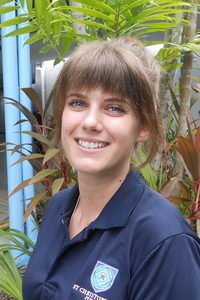 Cheryl was born and raised in Penang, Malaysia. She spent three years obtaining a Bachelor degree in Management from Universiti Sains Malaysia before realising that her true passion was working with young children and that she wanted to be a teacher. 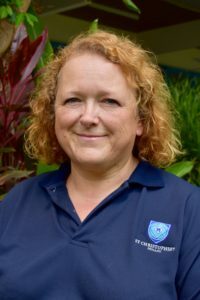 She joined St. Christopher’s in 2003 and taught Reception for the first 8 years of her career. She then moved up to teach Year 1 and was a teacher in that year group for 7 years. She is extremely delighted to be back working in the Early Years as a Nursery teacher this year and is looking forward to the adventures in a new year group. Cheryl is married to Aaron and they have a boy named Xander, who is joining SCIPS in Nursery this year and a little girl named Kaylee. 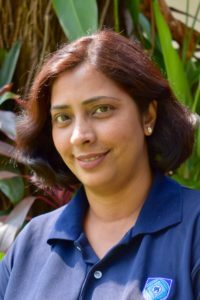 Jasmin resides in Penang with her husband Jiv, a senior engineering manager, two sons, Randhir 23 and Inesh 18, daughter Tasha 16 and their pet Shih Tzu, Benz. She was raised in Ipoh, Perak and graduated high school from Main Convent Ipoh and later joined the American Degree Program in KDU College Penang. 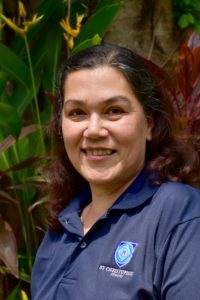 Completed her Bachelor of Arts degree in Communication from the University of Oklahoma, U.S.A.
Jasmin has been teaching in St. Christopher’s for 12 years. She has been a Year 1 teacher for 7 years, Year 2 Teacher for 5 years and is currently in her first year in Reception. Andrea comes from the UK. She has a Bachelor of Arts degree with Qualified Teacher Status in History from the University of Warwick. and has been teaching for 21 years, specialising in EYFS, both in the UK and internationally. Andrea’s passion for travel took her to Asia in 2010 where she led the Reception team in Manila for six years. Andrea lives here in Penang with her husband Trevor and has two adult sons in the UK. Elaine is a Malaysian Eurasian of British descent. 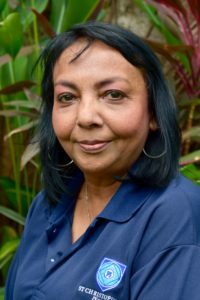 She was trained as an Early Years teacher under the Persatuan Tadika Malaysia (Malaysian Kindergarten Association) at University of Malaya and upon graduation, studied Principles of Early Childhood Education under the London Montessori Centre. She has many years of teaching experience and has taught children from the age of 2-1/2 years to 6 years. She is married to Vincent and has two young adult sons, Jeremy and Christian.